 Caladium Bushes Flower Picks - Set of 3 from Collections Etc. These elegant faux caladiums are the perfect way to add instant color, indoors or out. 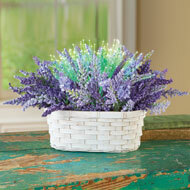 Set includes 3 full bunches of beautiful foliage. Use them together or separately, in your pots or baskets, or stake them into the ground in your garden. Pot not included. 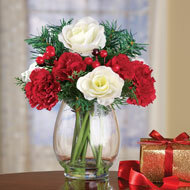 Use separately for smaller bouquets or all together for a bold and beautiful arrangement (as shown). Polyester. Each bunch is 11"Dia. 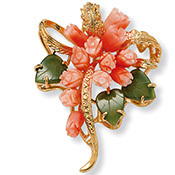 x 17 1/2"H.
A purely feminine look every woman is sure to love. 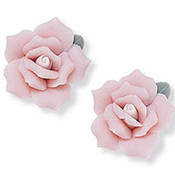 Ceramic pierced earrings are shaped into multi-petaled roses for a charming look. Imported. This item is coming from a different warehouse and will arrive in a separate package.